In healthcare, identification is key. Having proper identification helps patients feel more at ease, allowing them to know the name and title of the person providing care. Many states require ID badges to be worn at all times, and most individual healthcare organizations have some kind of ID badge policy in place. When wearing an ID badge, the badge must be facing front at all times, or else it's pretty much just an employee wearing a white card. Don't display card backs! 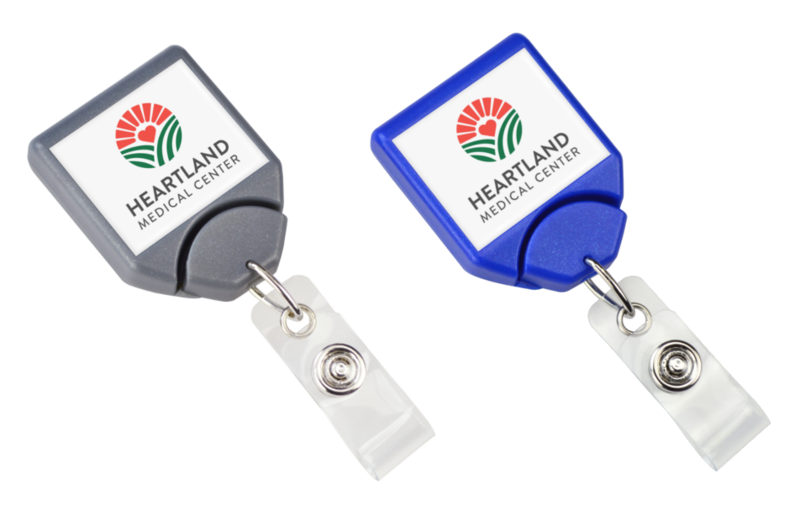 You can keep your ID badge facing front using the same method currently employed by many healthcare facilities around the country: by using the twist-free B-Reel badge reel.